Flooring professionals are always looking to source flooring to their commercial and residential clients that will stand as being both visually attractive as well as long-lasting. Homeowners are looking for these benefits too, but many people are becoming more and more aware of the issues of renewability and the protection of the environment. This awareness has caused many people to seek alternate sources of flooring materials that will still serve the needs of look and practicality, but with the added benefit of sustainability of natural resources. One of the most popular choices for these reasons remains to be bamboo flooring. Bamboo is noted for hardness, beauty, variety, and its "green" friendly nature. But, how exactly is it made, how many types are there, and just what makes it so renewable anyway? 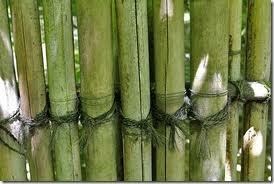 A common error some make about bamboo is that it is a type of hardwood. 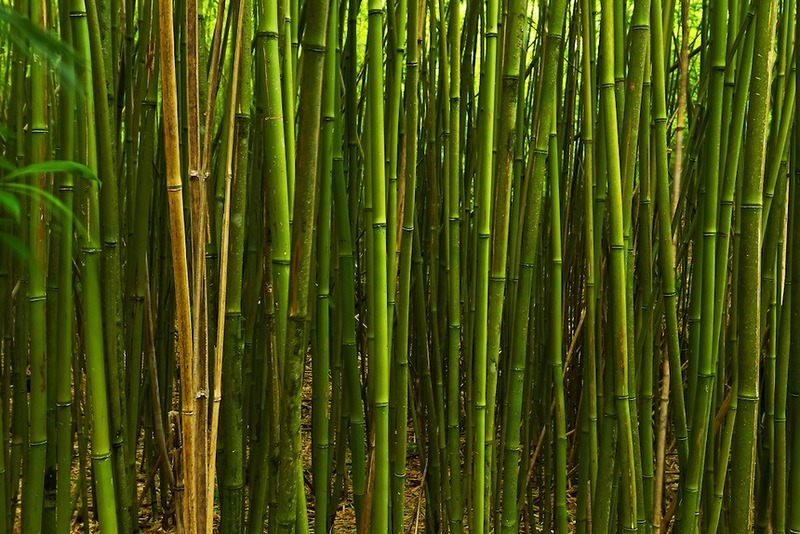 Not to be confused with common associations of many species of grass, bamboo is actually a type of grass which matures into a material that can rival the hardness of maple! Being well adapted to the environment in which bamboo commonly grows, each bamboo plant thrives in areas of fair to poor soil quality, and still remains to be one of the fastest growing plants in the world. Controlled harvesting of the bamboo plant has very little impact on each individual stalk, which will continue to grow long after harvesting. This is what makes bamboo such a renewable source of flooring material, and why it is often associated with environmentally minded choices for flooring. The fact that it is such a uniquely attractive flooring option makes bamboo flooring an extremely beneficial choice for your own interior environment! Once the bamboo has been harvested, the outer layer of green "skin" is removed and each stalk is cut into lengthwise strips or "fillets". These curved fillets of bamboo are milled along their outer edges in order to flatten them. The excess elements of this process will go into another type of bamboo flooring that is called "strand-woven bamboo flooring" – more on that later. The flattened strips of bamboo are then kiln dried in order to remove the natural moisture in the bamboo, and are then boiled. The bamboo fillets are now ready to be glued together to make a solid, dependable surface that is more than suitable for flooring. The bamboo undergoes one final compression stage, which makes it that much more durable and ready to ship. Tongue and groove elements are added in order to make an installation as easy as possible. It should be mentioned that the outcome of this manufacturing process is dependent on which kind of bamboo flooring is being made. There are several types of bamboo flooring, both in terms of cut and of color, and some differences in how they are processed. During the gluing process, the bamboo can either be bound with the narrow edges facing up, which results in a thin, channel pattern in the bamboo flooring, or so that the broader surface of the bamboo is bound facing upward, making for a surface that is more akin to traditional hardwood patterns. These styles of bamboo flooring are known as vertical and horizontal bamboo flooring respectively. There are visual benefits for each one, depending on your personal taste, but both remain to be decorative choices. The horizontal style is striking for its "knuckle" or "node" patterns, that is, the pattern naturally occurring in the bamboo that are the equivalent of "growth rings" in many hardwood species. The vertical style is a unique surface that remains unmatched by any other natural flooring material, characterized by decorative, narrow channels caused by the binding of the bamboo strips. Both of these styles are available in natural or carbonized colors. 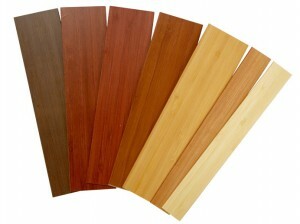 Along with choices in style you may wish to consider in bamboo flooring, there is also the question of color. Bamboo flooring is available in two colors – natural and carbonized. The color is determined at the boiling process. Natural bamboo appears in a creamy blonde color that is known to add a touch of brightness to an interior. Carbonized bamboo is characterized by its smoky, caramel hue which is the result of a longer boiling process which causes the remaining starches in the bamboo to caramelize. It should be noted that by the end of the respective boiling processes, the natural remains to be the slightly harder bamboo flooring. The carbonization process which defines carbonized bamboo reduces the bamboo's hardness by about 30%. It must also be noted that even though this is true, both colors of bamboo flooring can still be classified as being as hard as some hardwood species. In the continuing spirit of a "green" flooring option, strand-woven bamboo flooring is the product of a process that leaves very little wasted. The excess material left over from the filleting process which goes into making natural and carbonized bamboo flooring are intertwined, compressed, and bound. The binding agent is a safe, UV resistant and scratch-resistant resin which also makes the bamboo even more resistant to moisture. The process of compression results in a very hard, very durable type of bamboo flooring typified by grain patterns that are more like those of a hardwood floor. The strand-woven bamboo is then cut into planks and is ready to be shipped – no further compression is needed in this case, unlike regularly manufactured bamboo flooring. 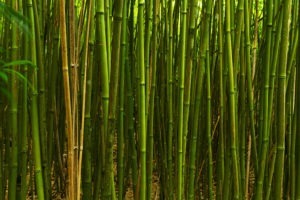 Bamboo: A Renewable Resource Renews Your Interior! One of the key elements that makes bamboo flooring so attractive is that it is an environmentally responsible choice. As you have read, the harvesting of the individual bamboo plant does no harm to it, and it remains to be one of the fast-growing plants in the world. Also, there is very little wastage of materials during the manufacturing process, making bamboo a truly renewable and sustainable source of flooring materials. Bamboo flooring can in turn renew any interior for attractiveness as well as practicality. Bamboo flooring is unique in appearance, and is easy to clean. As such, you will gain both the time it would take to maintain many other types of flooring, as well as the many compliments you'll receive from visitors!